The Federal Open Market Committee concluded its two-day meeting on Wednesday afternoon with the announcement that there would be no change to the target rate at the present time. That was what pretty much what everyone expected—no rate change in January. The stock market reacted in a positive manner despite the Fed doing what was expected, but it was more about the statements that came along with the announcement that caused investors to be enthusiastic. In addition to the temporary halt in rate hikes, the FOMC indicated that it would slow down on the balance sheet “normalization” process. In layman’s terms, this means that the FOMC will slow down on the selling of treasuries it has on its balance sheet. The Fed has been selling Treasuries in recent years in order to reduce the massive holdings it had built up. When the Fed is selling treasuries on the open market, it has the same effect of raising rates. Increased selling leads to bond prices falling, and when bond prices fall, the yield of those bonds increase. While the majority of investors greeted the news with enthusiasm, I for one view the developments as a neutral event. The Fed has been raising rates for the last few years because the economy was growing at a pace that could absorb higher rates and not come to a screeching halt. And that is exactly what we have seen—the economy kept growing at a nice pace and the rate hikes didn’t slow it down. While I do agree with the Fed that they needed to slow down, I don’t agree with the change in policy being a bullish event as many investors apparently see it. I think it means the Fed needs to wait and see what happens over the next four to six months and then proceed from there. I have read and heard comments from some analysts and economists saying that the Fed will make a rate cut in 2019. Personally, I hope that isn’t the case, because if they do it will mean the economy is having problems and that would hurt the market more than another 0.25% rate hike. 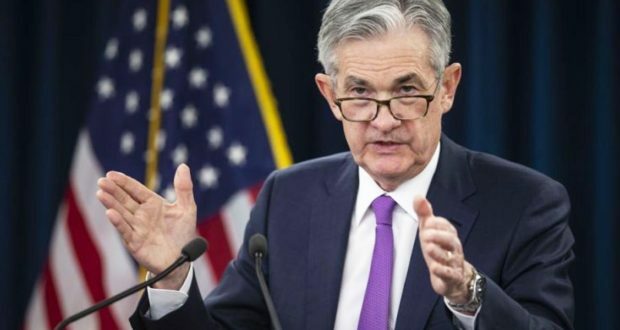 In the press conference after yesterday’s meeting, Fed Chairman Powell said that the committee would rely on the data to determine what the next move is. If the next move is a cut to the Fed Funds rate, it will signal that the economic data is weakening and that a recession is possible. If the next move is another hike, it will signify that the economy has gotten past the various concerns and is still growing at a modest pace. I was interviewed in a podcast for Seeking Alpha yesterday and was asked about the Fed and what I saw happening with rates in 2019. The podcast was before the Fed announcement and press conference. My response was that I see the Fed making one more rate hike in 2019, but that was it. I also added that I was hoping this was the case because it would signal that the economy was still going strong. It is a fine line the Fed has to walk, and the current economic and political environment, both domestically and globally, are not making their job any easier. Taking a break from the hiking cycle was the right thing to do and now it is a matter of reading the various economic reports over the next few quarters to determine the best path. I reiterate that I hope the next move is another hike because it will be a sign that the economy is doing well. China’s Version Of FANG: What Happens If The Government Takes A Stake In Them?